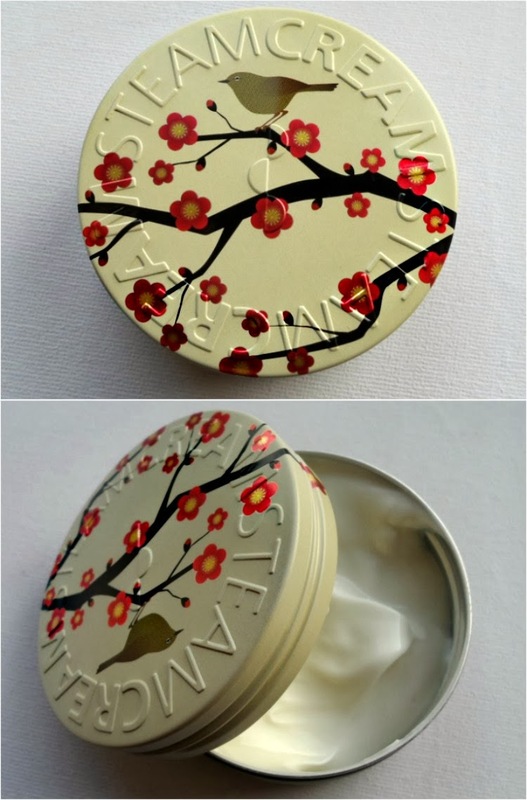 Sophsterlicious • UK Blog: - Ume Ni Uguisu Steamcream. First off, the packaging is a total winner, this tin is definitely a keeper when I've run out of actual cream.. It would be so perfect to keep earrings in or something. They have loads of different designed tins, each one is unique and really cute! As for the actual Steamcream, I really like it. A big reason for that is because it's a great multi-use product and I love a product that has more than one use. I have used this for my hands, face, body and even a tiny bit to tame frizz in the ends of my hair! It's very hydrating and works really well under makeup, to soften those drier areas like elbows and heels and even on hair like I said. It also smells really good, very fresh and natural. This product gets a thumbs up from me. Take a look for yourself here and check out the cool tin designs here. I'm loving them! Wow! Such a great packaging, just lovely!